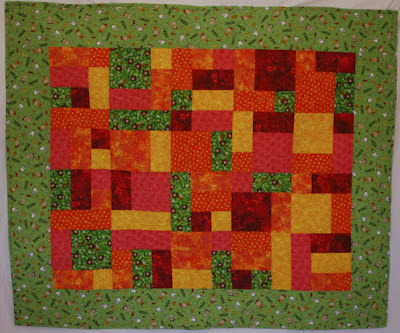 A couple of years ago, just after I'd started making quilts, my niece gave me a quilt kit for Christmas. The theme for the kit was Peanuts Baseball and I immediately recognised the present as a boomerang - to be returned to the giver - because my niece and her daughter love Peanuts and baseball (they once spent a year in America). I finished it off along with a couple of others, expecting to have hand surgery at the end of November. The surgery has now been postponed until February but my niece was very pleased to receive the quilt as a house-warming gift.